At this year’s Emmy Awards, the fantasy drama television series Game of Thrones sets a record for most awards won in a single year. From it’s 24 nominations, the show won 12 Emmy Awards including the most rewarding for Outstanding Drama Series 2015. The previous record holder was ‘The West Wing’ which won nine awards at the 2000 Emmys. In addition to best drama, Game of Thrones also took home Emmys for best directing and best script for the episode ‘Mother’s Mercy’ directed by David Nutter and written by David Benioff and D.B. Weiss. Peter Dinklage, who has previously won an Emmy for his role as Tyrion Lannister, won again for best supporting actor in a drama. News: Bilbo joins Captain America, James McAvoy goes bald and go Supergirl! Actor Martin Freeman, better known as Bilbo Baggins and dr. Watson, joins the cast of Marvel’s Captain America: Civil War for an unspecified role. 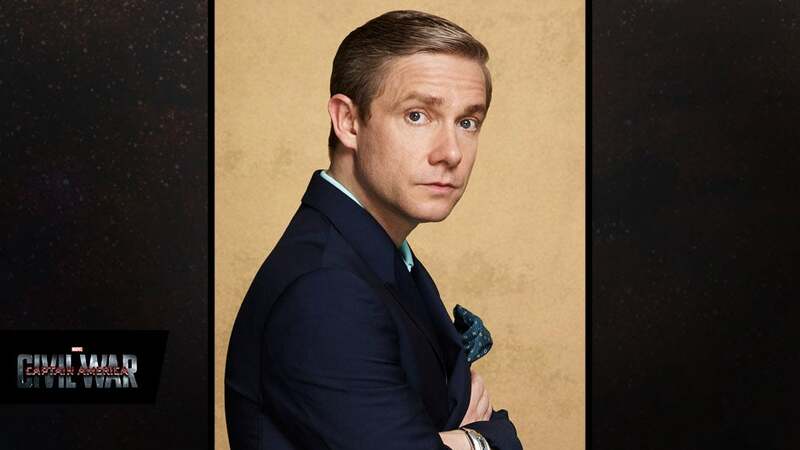 “From his roles as Bilbo Baggins and Doctor Watson to Tim in ‘The Office,’ Martin’s range from the dramatic to the comedic has consistently impressed us,” Marvel Studios Head Kevin Feige said in a statement. “We couldn’t be more honored or excited to have such a talented actor join the Marvel Cinematic Universe.” Unfortunatley, he won’t be playing a superhero according to Mark Millar, the screenwriter of Captain America: Civil War (read further on Comicbook.com). But I bet he will rock any role! Captain America: Civil War will be released on May 6, 2016. I’m really looking forward to this movie, because the story of Avengers: Age of Ultron will continue in this movie (you can read my review about Avengers: Age of Ultron here). Director Bryan Singer posted this photo last week on Instagram of actor James McAvoy being shaved for his role in the upcoming movie X-Men: Apocalypse. McAvoy plays the younger Charles Xavier in the X-Men movies, now transitioning to the looks of the older Xavier, played by Patrick Stewart. What a ‘bald’ move. The upcoming X-Men movie will be situated in the 1980s and will introduce younger versions of Storm, Cyclops, Nightcrawler and Jean Grey (who will be played by Sophie Turner, also known as Sansa Stark in Game of Thrones)! X-Men: Apocalypse will be released in theaters on May 27, 2016. DC Comics announced on Twitter that there will be a Supergirl tv series. Melissa Benoist (for me totally unknown) will be playing the 24 year old Kara Zor-El. Read more about Supergirl on DC Comics’ website. Are you excited?